They now released the Irish version of the famous Toto’s ‘Africa’ song known all over the world. 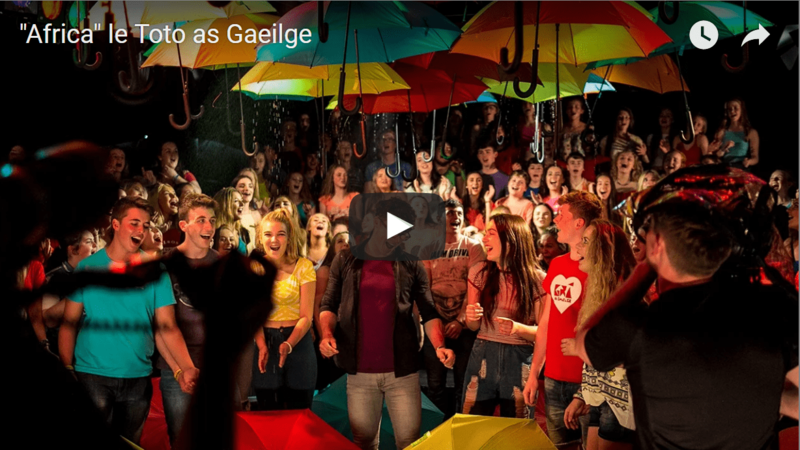 The 80’s hit has been translated into Irish, and it sounds better than ever! Well done once again guys. Most beautiful music I’ve ever heard, Excellent job! That makes me so proud to be Irish, Thank you. I’m ashamed to say that I’m not fluent in Irish and it’s a crime that there are so many Irish people that don’t speak Irish as their first language. Go raibh a maith agat. I’m sure I have Irish ancestry. Listening to this music moves me nearly to tears. Thank you for the rendition of Africa that touched my heart. It was near perfect!